Initially Salesforce introduces many types of portals like partner portal, customer portal etc. Now these features are not available for new customers and Salesforce suggest to migrate to communities from existing portals because it is easy to implement and having more features. Also all data access can be configured by Admin and even you can create different communities for your organization as per requirement as we normally do with WhatsApp groups or Facebook groups. I have created presentation on Salesforce Communities and presented it in one of the Salesforce Meet up held in Pune, India. Hope this will help in basic understanding of Salesforce Communities!! As we know, SetUp Audit Trail allow us to track all the metadata changes happened to our org. Previously we have to download the SetUp Audit Trail history data from Salesforce UI in excel file. SetUp audit trail data was not exposed in apex or through API in past but now salesforce has provided an option to query that data in apex or through API by introduction new object called "SetUpAuditTrail". This help us to find historical metadata changes specific to any action or any metadata changes done by any particular user. I have created a lightning component which will display the SetUpAuditTrail data based on fileters provided by user. 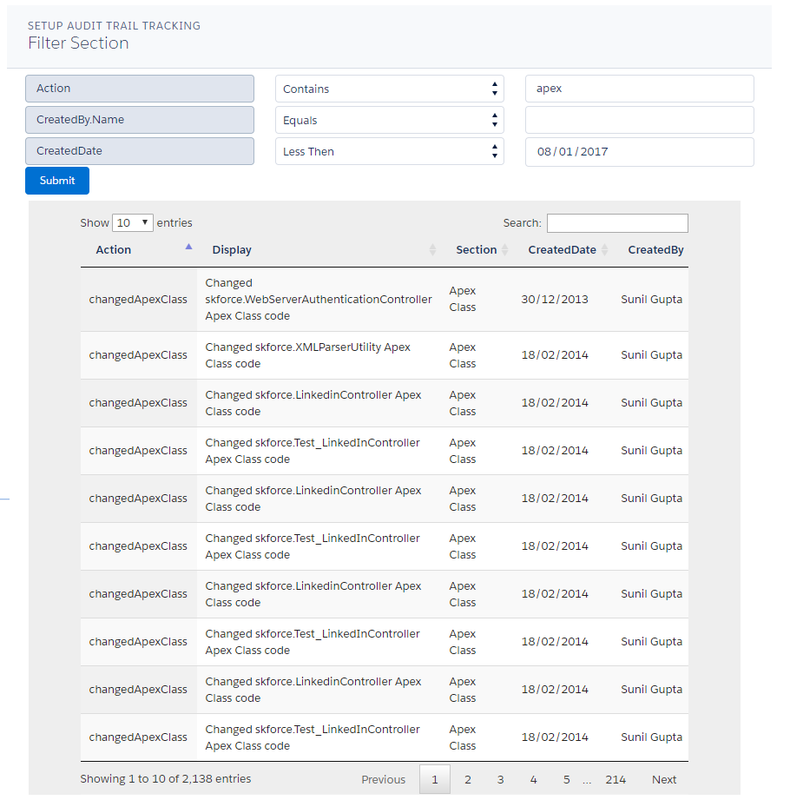 As of now, there is limited capability of sorting and filtering SetUpAuditTrail object records, I have used jquery datatable which will help us to sort records on all columns and also to filter records easily. 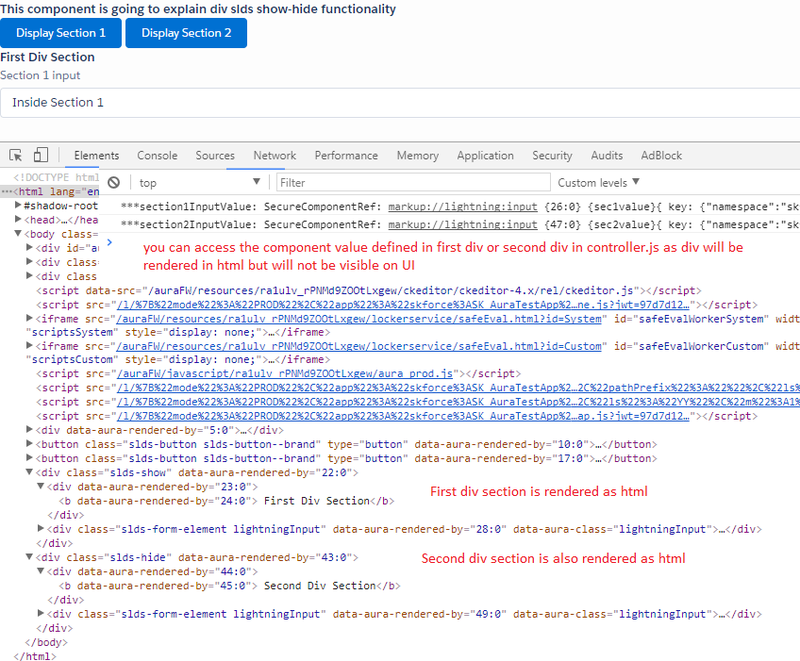 I have added the component to VF page by adding it to lightning app and exposed VF page through custom tab. This is basic code for basic functionality. You can extend it as per your requirement. Looking forward for everyone comments and suggestion!! 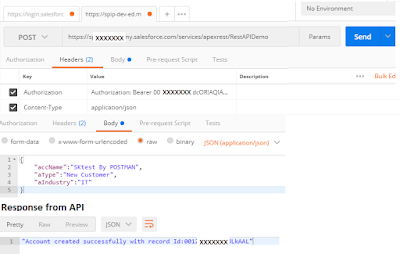 In this post, I am going to explain how to validate Apex Rest Service created in SFDC using POSTMAN (google chrome plugin). First we will create a very basic Apex Rest Service. where xxxx is your domain URL or say instance URL like na15, cs30 etc. 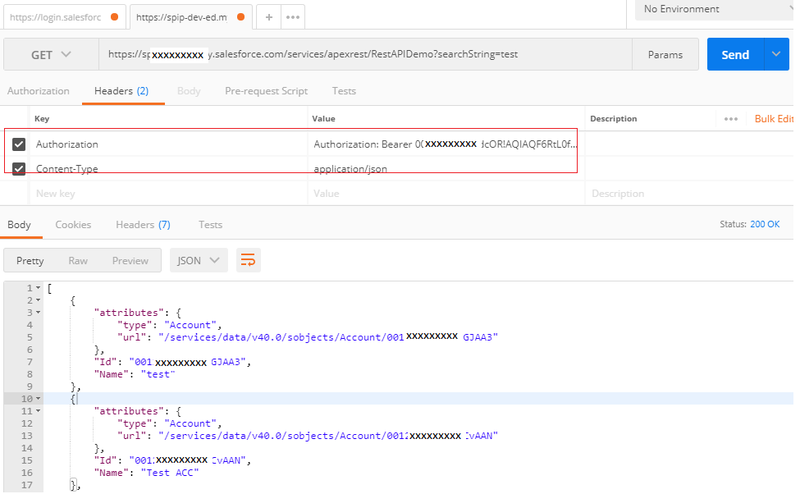 Here we have created Rest API which accepts GET & POST request.Whenever we will perform GET request, API will return Account records based on search string passed as parameter in endpoint URL. Now I will explain how to test this API Service by using POSTMAN. In order to invoke Apex REST API, we need to have access token. So first we will use Oauth 2.0 to get access token from SFDC in order to perform API calls. 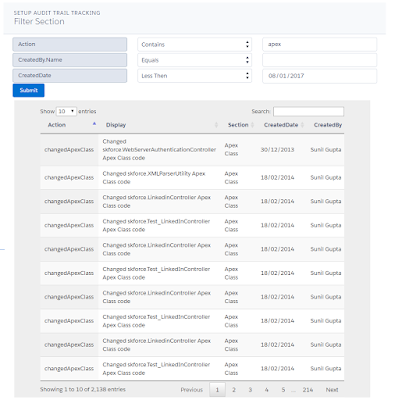 Create a connected App in SFDC. 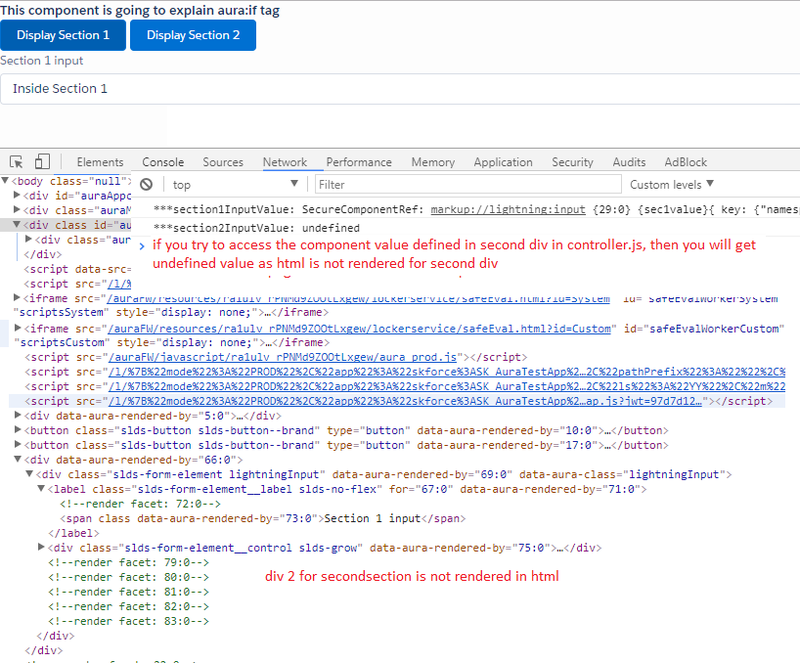 While performing POST request, specify header in which key will be "Content-Type" and value will be "application/x-www-form-urlencoded"
You will recieve JSON response in which access_token will be specified. Copy and save it. If you have enabled my domain then you can use domain URL as base URL in endpoint URL. If you are not using domain, then in JSON response you will get instance_URL which you can use base URL whenever you call APEX REST API's. First create Endpoint URL(GET request). 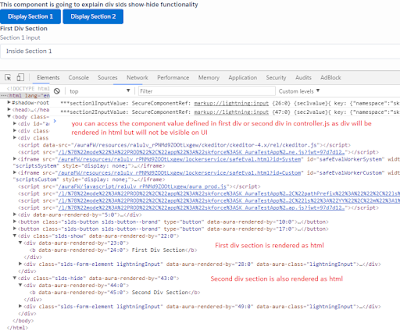 BASE_URL is instance URL returned in JSON while requesting Access token. RestAPIDemo is REST Resource we specify while creating class. Create a JSON through which you send account information. Send POST request through POSTMAN.